This rapidly changing world has made it very crucial for each one of us to have the ability to move forward – whether you’re a musician, an artist, or a businessman. Part of this change is the emerging world of blockchain technology which is gradually making its presence felt. 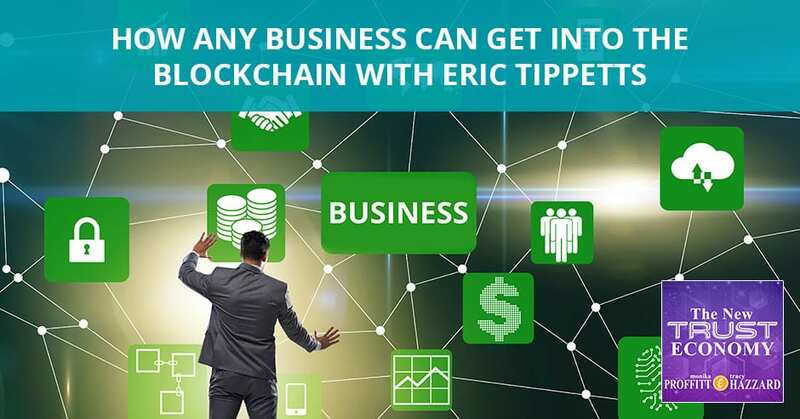 Co-Founder of the blockchain internet application platform, NASGO, Eric Tippetts believes that it is time for the business world to tokenize and move its influence forward. Eric helps us understand how it works on a grand scale. He talks about how the dot-com era is now turning us over into the era of block-com, which opens us up towards a global ecosystem where trust and transparency is at its heart. My guest is Eric Tippetts of NASGO. He’s the Cofounder of NASGO. If you haven’t heard of it in the blockchain world, it is exciting. It’s a blockchain internet application platform. Dapps, if you’ve heard of that term or distributed apps. This is an interesting world in which we’re working at and thinking about dot-com back in the day. We had gotten our websites and we had gotten our dot-coms back then and now you have a chance to be on the block. Wouldn’t that be cool? They are doing this. With his Cofounder, Steve Jiang, he has sold a combined more than $3 billion for the companies that they worked for. They are working on what is a trillion-dollar blockchain. It is the coolest thing and is interesting. It is why I decided to get so excited about blockchain because it showed me the application. It showed how things can happen. I want to introduce Eric Tippetts. 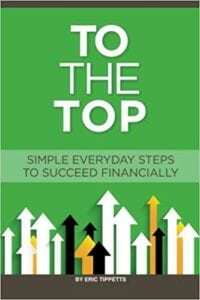 He’s an author of a financial self-help book called To The Top: Simple Everyday Steps To Succeed Financially. He has built relationships with Fortune 500 companies, 3M, Procter & Gamble, Boeing, HP and lots of others. He’s been on lots of talk shows. You may have seen him before. He got featured in Forbes, which is how I found out about him and how I got connected to him and were called the trillion-dollar blockchain. Without further ado, Eric Tippetts. Eric, thanks so much for joining me. It’s a pleasure. Thank you for having me. I’m excited to talk big picture because we get narrow into the tech details sometimes, this whole discussion on blockchain, token, crypto. We’re all in the tech details sometimes that we forget the businesses, creators, musicians, all of those kinds of things out there that we have and need to be able to move our businesses forward, move our influence forward. If blockchain is the best way for us to do that or tokenization, we need to understand how that works on a grand scale. Is this going to make my business better? The World Wide Web has created a connected world and that was a good thing that was a way for people to be bigger, to think bigger and to connect bigger. We’re at a place in the world that there is so much chaos, there is so much noise. People are tired of it and it’s hard to cut through what’s real and what’s not. There are some amazing marketers. I do a lot of business in China and we had a company approach us that said, “You just give me a theme and we will create a whole story, a whole business, a whole world around it,” and I thought that is scary. What it showed me is the World Wide Web is at a place where people would love to scrape it clean and now we know what was there, let’s start over and start to innovate in a way that we can connect in a very clean, efficient, and authentic way. You’re mentioning here that dot-com era opened up this for us and now we’re moving into the era of block-com, which I love that term. Talk about that a little bit and define that for us. Dot-com paved the road to show people how to connect and how to be online in a global ecosystem, but the challenge that SMEs have and people have around the world and especially when you do global business is how do I build trust immediately with somebody that’s a stranger? I don’t know them. The blockchain is a transition to how do I learn to be in a global ecosystem, but then how do I build trust and transparency in this road, in this ecosystem? It builds it in an authentic way because we’re seeing things like Amazon reviews being bought and we see a lot of these. You know where they come from. It is one of those things where it’s funny. I was talking to somebody and they were mentioning something like, “That’s weird. I went into your blockchain and I don’t see any of that,” and there was this long pause. I was like, “It’s open-source. You can see these things.” The block-com is the dot-com and blockchain. It’s the next era of irreversible data, trust, transparency, and connection. We loved the whole idea of an authentic relationship that people are creating globally where it’s typically hard to do. I was lucky enough at the ChainXChange, which you were at as well and that’s where I heard you speak for the first time, that I got to interview Woz. That’s why he’s so passionate about blockchain is that it can reward these creators and these authenticators and these people who are doing something big. I get this all the time in podcasting. I have a podcast that has 100,000 listeners a month and there’s no documentation of that anywhere. I have to pitch sponsors on what is a fabulous show on 3D printing. I have to go out there and pitch them on it when they should be able to just look at that and go, “We want in.” The ones who do it know how fabulous it is because they see the results of that, but it’s hard to do that when you have none of this transparency. In the podcast world, they’ve hidden that transparency. It’s very much the same way in a lot of influencers realms as well or their stated hype or these real followers. I was on a call with Tony Robbins’ advisor. 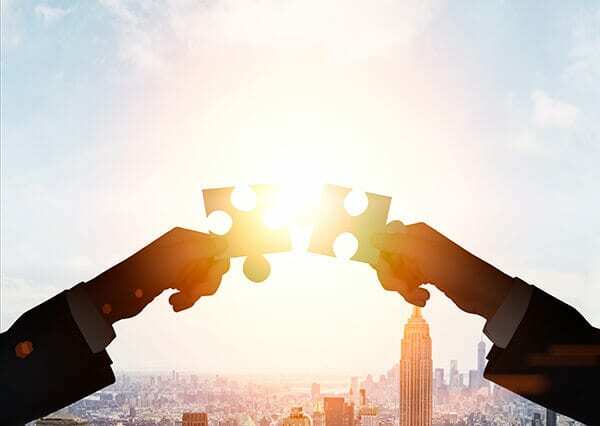 He was going through everything that we’re talking about in tokenization and getting the companies to tokenize and create more of a seamless connection with the businesses and their customers. He asked me at the end, “Eric, this sounds amazing. What’s the downside? If you were to tell me what the risk was, what do you think would it be?” With Tony there on the call, I said, “That you’re not as big as you think you are.” That’s the reality. In a market where you’ve got transparency, it is something to where influencers, the ones who are doing it and the ones who have the people, love it. They love what it means to them because it breaks them through the crowd of block followers. All of the things that are not true, that it shines on the people that are authentic and real. Blockchain: It’s the most connected world that’s disconnected. That’s one of my passions about it. I have to tell you, I called my husband who is my partner in business and I say, “I think you should get here at ChainXChange. You should show up and listen.” Besides the fact that Woz is going to speak and I knew he would like that. He was like, “Okay.” The other flip side of that is I would come home and he’d think I drank some Kool-Aid or something because all of a sudden I was like, “This isn’t hype. This is real.” What opened up my eyes to things that I like to see and that’s what I want to talk to you about even more in-depth is applications of things where blockchain is being utilized to solve problems. I see that happening and you have a system which makes it a lot easier and cost-effective for companies to implement that and be able to create, we call them in this world Dapps, decentralized apps. It’s about creating a system for providing whatever that might be you want to provide some incentive or some token or whatever that might be. You just hit it. It’s the usability that to us blockchain is a buzzword that’s overused. That was a year ago. People are still trying to hold onto that but for us, it’s about usability case studies. It’s about how do people take and implement whatever is built on blockchain into their life daily. Many times not even realizing that it’s on the blockchain. That has been our focus. We have been working for the past six months. It’s funny, we launched our main net and we launched a wallet and inside there, we had an app store, a Dapp store. What we quickly realized is that people would go and create tokens and they call us and go, “This is easy and cool. This is cool. What do I do now?” That was a reality question that we make it so simple that anybody can do it, but now you need to give them a roadmap. You need to show them handhold what you do and how you become successful with incentivization using tokens but you got to have the tools. You got to have the training and education to do it. Can we talk a little bit about what that looks like from a business perspective? An example basis because I like to work like that. I have this visual in my mind of what is this company. I have a podcast network. We have 125 podcasters. They’re small to medium size entrepreneurs who are running coaching businesses, chiropractic offices. They are mainstream America. This is our market, exactly what you’re talking. It’s a flower shop. It’s a local restaurant that has a market. I was talking to my favorite Italian place, Luciana’s in Dana Point. I said, “Do you know your customers?” He goes, “Yes.” He knows his every night customers, his regulars, but he has no database. He has no way to connect to the actual market that comes in, the 95% that come through. All he sees is the bill, the revenue side but never gets to know them. For us, we wanted to create a Dapp that is like a CRM system, a contact management system that allows for you to tokenize your business. It then allows you to go to your customer, get them into your ecosystem. We have an app launching called AMICO. AMICO is a social media. It’s a communication app. It’s a video channel. It’s a storefront marketplace. It’s a peer-to-peer exchange and it’s a decentralized wallet. It holds all crypto and all of NASGOs tokens. For those of you who have not tried to put crypto onto your platform before, it’s incredibly difficult. It’s so funny to me like people go, “You have your blockchain?” Like it’s something people can just go and build a blockchain. If that was the case, we’d have thousands of blockchains that are real. It’s very complex. It takes the right type of skill, the right type of team to do it. To build on it and build something that has the speed, the validation, the scalability and then builds all of that into one place and with a wallet that fuels it with one click is extremely complex. With the wallet issue, you’re right, it’s speed. That’s been the problem why most of the wallets fail. That’s like, you set the amount that you might want to sell your book for, for instance. Monika Proffitt, my co-host in this show, she tried to do it and the transaction kept failing because it takes so long to convert. By that time it would say the amount is not right. Trying to implement something like that is not as easy as we think it’s going to be. For you to solve that problem so that it’s instant for us, it’s something we’re able to just add on. That’s fantastic. I look at the world we live in now. It’s disconnected. It’s the most connected world that’s disconnected. For instance, you go onto Instagram and you look at these influencers where Kylie Jenner has got 106 million followers but she can’t sell anything. If she wants to sell anything, she has to take them out of Instagram and go over to Barneys and then it goes through a merchant account. Why can this be not just one click and it’s done? We’ve created that towards social media. People can bring their audience and say, “Come and be a part of what I’m doing. I just tokenized my brand and I’d like to incentivize you to come and follow me here. This is a way that I’m going to communicate with you.” We are doing so much business in China. They are absolute mobile-centric and they have at least two of them and probably three of them. I personally go there sometimes ten times a year, so I know exactly what you’re talking about. Don’t you love though? Over there it’s the velocity. I remember I’m sitting down having a breakfast watching this little store. There were 1,000 people that went through there in a matter of ten minutes, five minutes. It’s because the efficiency of they walk through, they grab what they want, they scan the QR code and they keep going. There is no cash. It’s all QR code and everything is based on that and it has a wallet right within. We took that and put it into the digital world in the crypto space that we are the only platform that is creating the ecosystem that puts it all in one place, takes all the crypto and puts them in one wallet along with the tokens that within ten seconds can transact immediately. Blockchain: Everybody’s trying to figure out their story, their unique selling proposition. This is one of the things that we strive to do at my podcast platform, Podetize. We strive to bring everybody’s value back to their business and back to themselves so that they’re in control of their subscribers. Facebook isn’t or iTunes isn’t. We want the value to be with you because you’re producing all the content. You’re producing all the value there and so we want at the end of the day, the transactional value to be with you as well. You’re enabling that at a much faster speed and then the rest of the systems are, because the systems are being built by people who have their own selfish means along the way. Listen to them talk. They’re always talking about themselves and how their blockchain exists and how big their blockchain is and this and that. Who cares? To me, you are the hero. You’re trying to create you as the hero. For us, it isn’t even about our customers. It’s about their customers because I again, go into this local restaurant and said, “Tell me how you would like to communicate with your customers. Tell me what their concerns are. What feedback are you hearing?” It wasn’t so much for him. It’s that she’s got his world and this is what’s enough for me to help my customers. 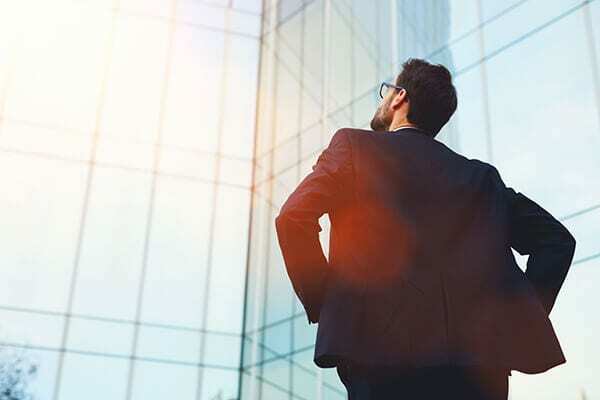 That’s everything that we do and build and create, is always thinking in the mind of what our customers’ customers concerns are and how do we address them? How do we help our customers address those concerns? It isn’t us the hero, they’re the hero. I’m so with you there. That’s the goal of great products. That’s the goal of great shows. It’s where innovation happens and creation takes off. One of the ways that you’re also doing that is you’re working with musicians. Could you talk a little bit about that? Jaafar Jackson and I were on the New York Stock Exchange on the trading floor talking about it, so it’s no secret. We’re going to absolutely change the music industry, entertainment industry and sports industry. We’ve connected and partnered up, and this will be an announcement that we make at the event with the largest players in that market. We have artists now coming to us, sports celebrities coming to us, entertainers and the largest entertainment agencies coming to us. What they’re realizing is that’s an old model. It’s broken and for us, we wanted to come in and give the life back to the artists. They’re the ones creating value. It blows my mind that you have the machine that gets in the way of this authentic, beautiful artist that just gets by a machine that’s just trying to figure out how the money side of it and completely lost the artist side of it. That’s exactly what we used to think, “It’s his labels and they were so controlling,” and all of that. Now we have big organizations that are controlling the access to the listener and the value is not coming back to the musicians and the artists. It’s the same thing in product design and development as I work with so many Amazon sellers and so many product inventors out there. The value is not coming back to them either. When you look at that, at the end of the day, if they make a few hundred thousand dollars, not millions off of their products, then they did okay, they did great. That’s sad with the amount of time, effort and energy it’s taking. I watch a lot of people and especially at a high level, everybody’s trying to figure out their story, their unique selling proposition. It’s sad because behind the curtains many people talk about their business and in the end, they go, “How else could we get more business? Why don’t we donate? Why don’t we give to a charity? Would that make us cool?” When I look at that and I go, “That’s a scam.” The lowest is when you use people’s emotions to get into a further place. If you look at our blockchain, it was built with social impact and that’s an extreme passion for me. It’s probably just people have their different quadrants of who they are. Blockchain: You can innovate and still get distracted by technology. To me, your social impact isn’t just that philanthropic. It is the side of rewarding these creators. That’s the social impact I try to have in the world is making sure that creators can get their stuff out there. That they can get recognized for what they’ve done and how innovative they are. That’s one of the reasons you’re on the show because I want to make sure that people know how innovative you are and what you’re doing here because it’s revolutionary. A key thing is that we live in the age of influencers. I believe that. When you got somebody that can tweet and take companies down, there’s the power these influencers have, but with power comes responsibility. You hit it right there. Social impact with responsibility, sustainable impact. I feel like the artists many times and influencers, they don’t know what to do. They’re so tired of getting scammed from people that they just stopped doing it. This is the New Trust Economy. That’s what our podcast name is and that’s what we’re about here. We wanted to use that name because it’s trust and distrust. It’s artists and inventors. I see these inventors are so distrustful of China. I am not. I have a whole different view because my eyes are open to how great it is to collaborate with them. That my personal experience is that I’ve never been knocked off by a single factory and I’ve done over 250 products in just the last decade. Not my whole career, that’s just the last decade. I’ve never been knocked off by a single China factory that wasn’t put up to it by a US retailer. I was knocked off by Staples, I was knocked off by Walmart, but I was not knocked off by the factory itself. They wouldn’t have done it to me. The only reason why people like the music, I had this conversation with Jaafar and he was asking that question like, “Why did they pirate?” I said, “Because nobody pays them so they have to go.” If you tokenized and gave the market that they’re now partners with you, they would turn into your biggest advocate and your police. They would sell police for you because you’re now partners. You’re now incentivizing them to be a part of what you do, where most people don’t give them anything. They don’t incentivize them. It creates that type of opportunistic of how I can get what I can get because nobody includes me, nobody puts me in the game with them. That’s this trust and distrust. How can we shift that model and turn it into a way which the trust part doesn’t matter? I’m going to earn the trust by how I operate and by how I do that. I feel like tokenization is the perfect way to do that. You’ve got innovators, you’ve got artists, you’ve got people that create something, but yet they have no way to bridge the gap to go get to their customers. Their challenge is then you’ve got the social media, you’ve got the conglomerates, you’ve got the people that once you do that out there, you don’t own it anymore. I was talking to somebody that was talking about Myspace. Dr. Dre put a song out there, California Love, and somebody was wanting to do a commercial and use that song. Dr. Dre said, “You can’t use that.” Myspace said, “You can. Anything you load on my platform, we own it.” In the court, they’ve won. That’s a scary thought. We look at innovators. The beauty of blockchain, you think about artists with paintings and you think about music. I was talking to David Tickle, a big producer-songwriter and he said, “There’s a time that we’re doing a song and we’re looking at each other and go, ‘This is going to be the biggest song ever.’” He said, “We could go and tokenize that immediately and have it to where it’s locked in. That’s our song. Nobody can change it.” Tokenized LeBron James shoes, different shoe lines. You got sneakerheads and they would love to have it and its limited edition and I’m a part of that. There are so many cool things I’d love to do. There are so many cool ideas. You were mentioning about Myspace. This is a big issue in the podcast world. We have this where the podcast platforms, the host themselves, the minute you take advertisements on their platform and they placed those ads on your show, they own your show content and it’s not yours anymore. That is scary and that happens at certain levels. I always go, “Free is not free.” When you’re on a free platform it is not free if somebody else owns that on you. I have to remind you of that like you get what you paid for. That’s like the golden handcuffs. It’s free but remember that you owe a favor to somebody. That’s why we started the platform the way that we did so that we could return that and say, “There is no way. We don’t want ownership out of it. We’re going to help you monetize, but we’re not going to claim ownership of it, because at the end of the day, this is your content and you deserve that.” We’re going to create a win-win model for everyone so that the advertisers can trust that you are who you say you are and have the influence that you say you have. That’s why blockchain, when I saw what you were doing there I go, “I can do what I’ve been dying to do, what I want to accomplish.” There are a lot of companies out there like that who are sitting back and looking at that. Would you go over a little bit on some of that BlackBox stuff that you have? Some of that stuff is cool and people are like, “I want to put this in my business.” This is coming fairly soon. Blockchain: Don’t let other people set your agenda for the day. Set it yourself. It’s already out. You said it about innovation. We’re innovators and I love that, but that also is very confusing for a lot of people. You can innovate like technology in actuality can get in the way. Now I’m becoming slower and less efficient and on social media, not being productive. We wanted to simplify technology. When you say blockchain, most people’s eyes glaze over and they don’t know what to do about it. What we like to say is, “We’re the GoDaddy of the blockchain.” GoDaddy helped the World Wide Web get its momentum, its tipping point because they made it simple. The BlackBox was our way of getting onto blockchain extremely simple. For $300, $350, you’ve got a domain address. Just thinking about all the things that I would have to invest in to develop. When I had heard that you said $350 or whatever, I was like, “That is crazy.” That makes it so simple. I met with a company that has spent nine months, looking to launch and spent close to $400,000 to launch their token on Ethereum. I looked at him and I go, “For what? Let me show you this.” I did a demo token and they looked at each other and they go, “We’re not going to do this, are we?” The CEO goes, “We have to,” and they switched. We tokenized them and because it was so simple, they could do it themselves. They can now immediately go right back to their investors, into their community, into their employees, and immediately launch that. They were still another month off. The BlackBox is our attempt to make just like what GoDaddy did to the World Wide Web. We want to make it simple for companies to go onto blockchain. I want to make it simple as well. You got my backing. I’m promoting out there and pushing podcasters into it from our Podetize platform. Whether they like it or not, I’m pushing them into it. We’re always looking to collaborate with good people and this is a fun podcast because I love connecting to people that have a bigger vision and are truly wanting to make other people better. I look at podcasters and there are a lot of people that are amazing podcasters that don’t believe in themselves. They don’t think they can do it and they don’t have the skills. I love what you’re doing. Anything that we can do to support you, we would love to do it. I’m all there with you. Eric, is there anything else you want to tell us about what’s coming up and what you’re working on and other ways in which people can connect with you and NASGO? With AMICO, we’re having a blast. We pre-launched in Saipan with our China team our VAPR and it’s our augmented reality. It is so cool and it’s going to change the world of advertising. Imagine right now for me to do a Super Bowl ad is $1 million, $3 million a minute. Where I can create and put content right in the Super Bowl instantly and have it where I can tokenize and incentivize people to look at my content as they’re at the Super Bowl. We’re going to break all the limits, the borders. I call it the rails. The World Wide Web has rails. We are breaking out. We’re going to own space. We’re going to own air. People are going to be able to put content anywhere in the world and air and from any place. What’s fun is people know how to play a game. Think of a local restaurant, the challenge for most companies is how do I drive behavior, action to my prospects and my customers? If I can be at my restaurant, shoot a quick video and say a bar special. Then do a reward of twenty of my tokens and make it toward people as you’re about to go out to dinner. They just go like this and they’d look at what videos, what rewards are around their local area and immediately say, “Luciana’s is doing a special.” They go over there and the only way they can get the token is they do whatever circumference they want around the restaurant. Once I’m there, it pops up and after the video, I click on it and it goes right into my wallet. I can now go use that for a free dessert or for a free drink or whatever. The last question I have is a trillion-dollar blockchain. How do you do that? How do you think that big? How do you keep yourself at that level from a personal entrepreneurship point of view? This is the most important question in my mind of this whole podcast is how do you become it? It all starts with the management. If you don’t believe it, people can see through that very quickly. The trillion-dollar platform, we’ve reversed engineered that. We’re not sitting here and use that as some gimmick. Once you meet my partner, Steve, he is this math genius who thinks methodically through things and reverse engineers how you get to a trillion. He breaks it down by the minute, by the second, by the hour, by what do we need to do? What’s this? How much does this cost? How many businesses? We’ve broken it down. You get into businesses, then you look at what products do they do and what kind of transactional volume can help them hit? That’s one thing as far as the application part of it, but I will tell you even more importantly is the human side of it. People don’t invest in themselves. That’s something that I would love to tell your audience. If you want to be an entrepreneur, you have to invest in yourself. That is hands down. I start my morning and I get up before my family gets up. I think too many people get up and they’re already late. They’re late, they stubbed their toe. They’re having a bad day, they’re always late. You’ve got to wake up earlier. To me, the mornings are everything. I wake at least half an hour before my family wakes up. I love to read. I love to find out what’s going on in the world. I don’t go read the news. I’m not interested in the news. I go and read things that spark innovation. That sparks my brain in a positive way. I do that, then I spend at least fifteen minutes meditating just to get you into a place that you can be clear. Your mind can be in a clear state that you’ll be amazed at the epiphany and you’ll keep going, “I had these amazing dreams and epiphanies.” It’s because you’re clearing out that clutter. You’re silencing your mind to bring that. Then every day, I start my day with intention. 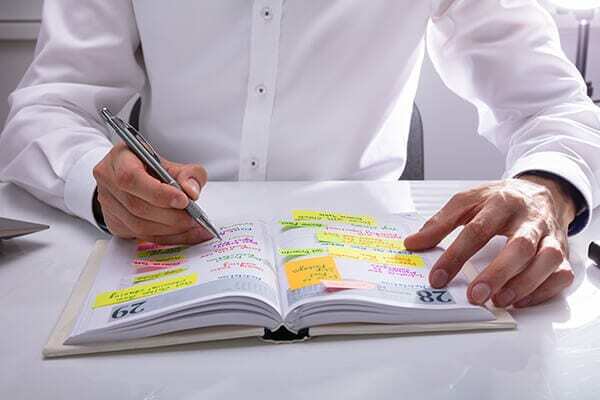 You have to write down what you’re going to accomplish that day or else you will find you’ll always drift and get to the end of the day, and you never had enough time. You never got to accomplish what you were going to do. These are things that every entrepreneur, every business owner, the CEOs and the people that I’ve met that are truly innovating, they all do this. This is commonplace. It’s something that I’m adamant. I don’t allow people to get into that space in the morning. Once I start my day, I start it with intention. I go full out, all in. I don’t let other people set my agenda for the day. You’re going to set it yourself. Think of how many people start their day by checking email. They start the day by reacting to other people’s things. You have to start your day with what you want to do. What do you want to accomplish at the end of the day? At the end of the day, you got to be grateful. You’ve got to go to bed. Too many people go to bed watching the news and putting all that negative in their mind and wonder why they’re always thinking they can’t. All this negative interaction that they have with themselves. You’ve got to end your day with the positive of what you did great now. You’ve got to start your day with the positive of what you’re going to do now. To us, both Steve and I are adamant about it. We’ve been doing it for several years plus and for us, this is common. When you talk about trillion dollars, when you talk about the person, the people behind it, need to believe that trillion-dollar, it’s truly that. It’s the personal development, the self-development that we got honed in each morning. Thank you so much for sharing that. I appreciate that. When you think this big, you wonder sometimes, “Is this hype or is this real?” It’s absolutely a mindset. I’m fascinated and I look forward to getting a chance to chat with Steve because I love the idea of that detail, reverse engineering. You’re going to love Steve. I love to hug people and I love to go out there. He’s quiet but when he speaks, he speaks volumes. It’s fun to get the two of us because there’s a difference but it works. East, West, he’s Singaporean, Westerner. It works extremely well. Our brains are different, but they complement each other and he’s my best friend. It’s something to where I love him to death. I’m ten years older than him, so I’m like his older brother. He calls me his uncle but it’s a beautiful relationship. Eric, I appreciate you being on the show. We’re going to have you back again because I know we’re going to be talking about some milestones in the near future. It would be a blast when we launch Jaafar Jackson. It would be fun to do a recap and have Jaafar come on with you. I would love that. That would be fantastic. Thanks again, Eric. We look forward to talking with you again soon. 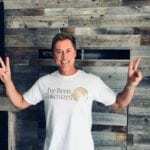 Co-Founder of NASGO (Blockchain Internet Application Platform), from Orange County, California. With his co-founder, Steve Chiang have sold a combined sum of more than $3B for the companies they’ve worked with so far. Eric is an Author of a financial self-help book, “To The Top – Simple Everyday Steps To Succeed Financially” and has built relationships with Fortune 500 companies such as 3M, Proctor & Gamble, Boeing, HP, and many others and has appeared on a plethora of financial shows such as Fox Business News and has provided Consumer Alerts on multiple of the national channels (CBS, ABC, and NBC). Thanks Tracy! You rock! I had a blast on your podcast and look forward to sharing it with the world. Have an amazing day! Me too – things are moving so fast, we already need to do another show! Lol! Yep…I agree! Thanks again for helping us share our passion and mission with your tribe. Let me know if there is anything I can do to help.